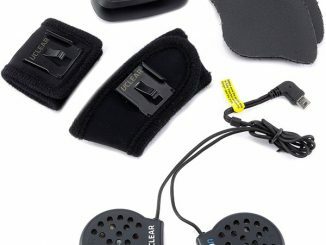 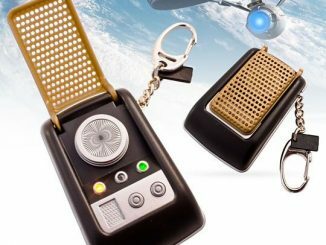 You can’t use a phaser on people who irritate you and you can’t beam to work but the Star Trek: Original Series Bluetooth Communicator puts the technology of the USS Enterprise in your hands. 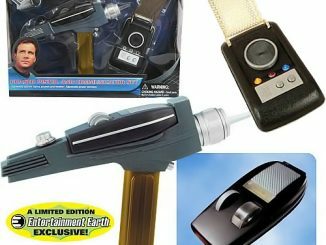 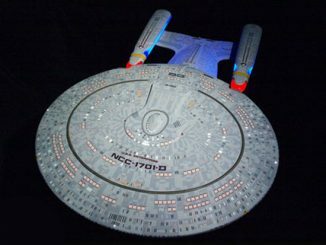 You’ll have to resist the urge to say ‘Kirk to Enterprise’ when you use this cool prop replica because Bluetooth technology lets you imagine yourself on that original five-year mission. 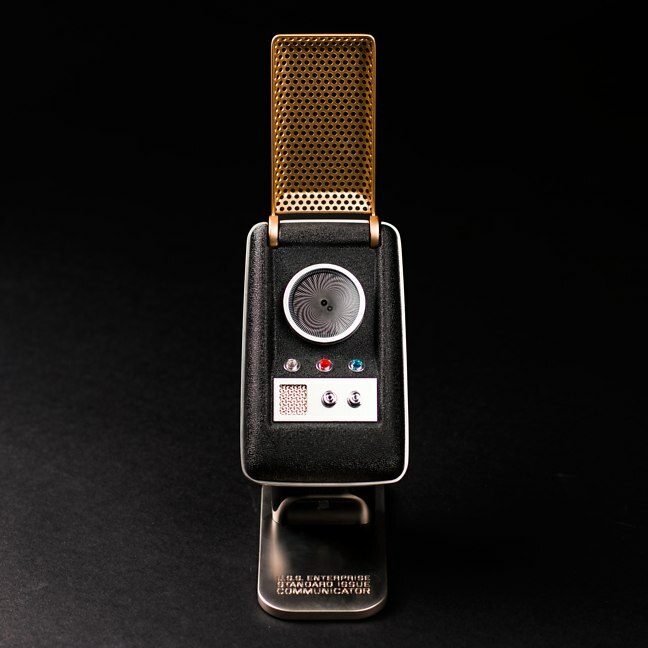 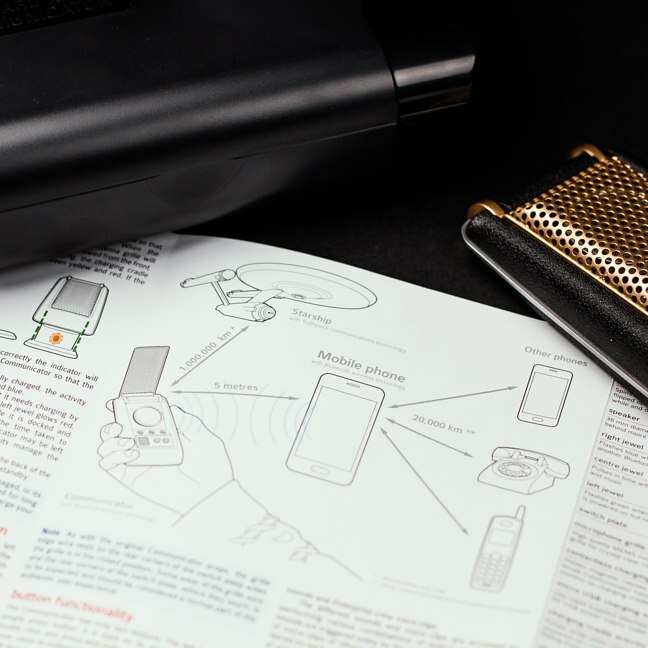 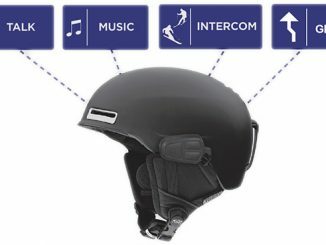 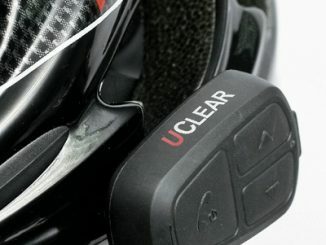 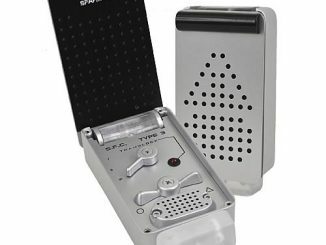 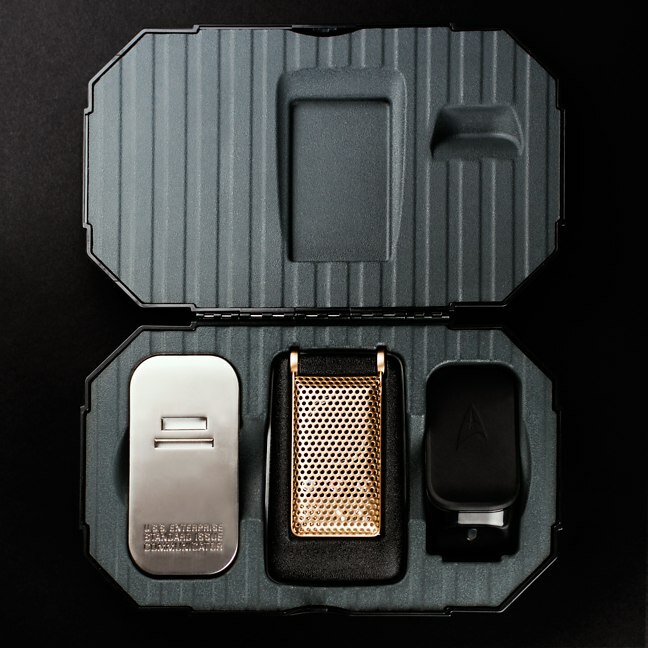 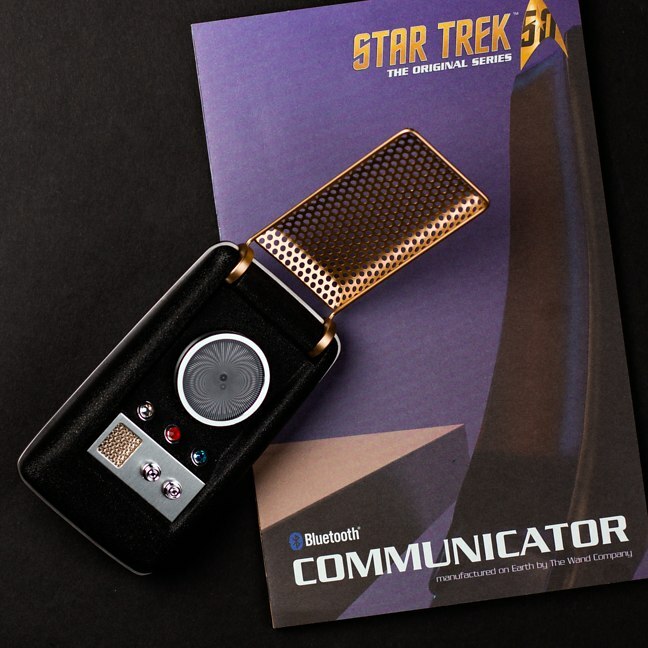 The communicator, 3D-scanned from the last communicator prop in existence, pairs with your mobile phone via Bluetooth, letting you actually use it to send and receive calls. 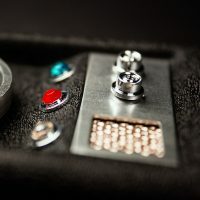 Nobody to talk to? 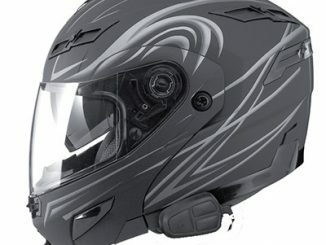 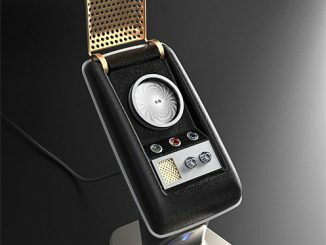 No problem because it also comes with authentic Star Trek sounds and conversation clips. 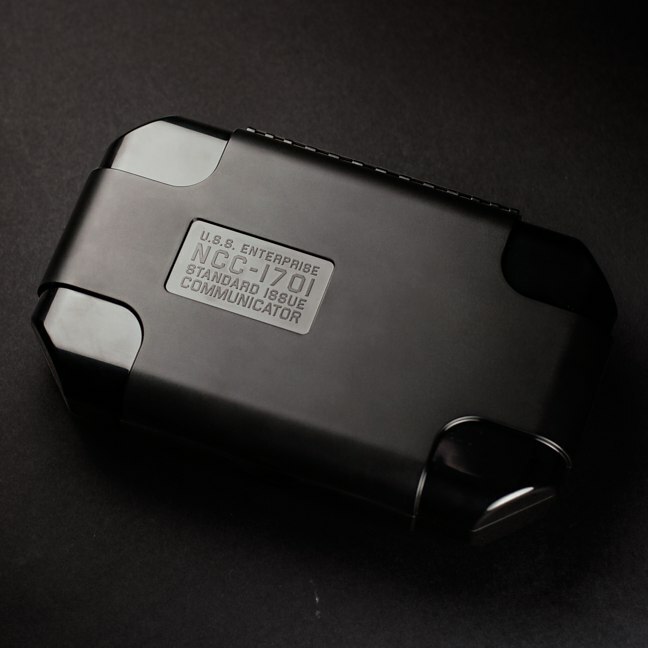 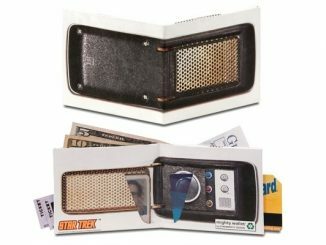 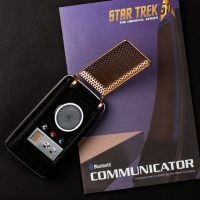 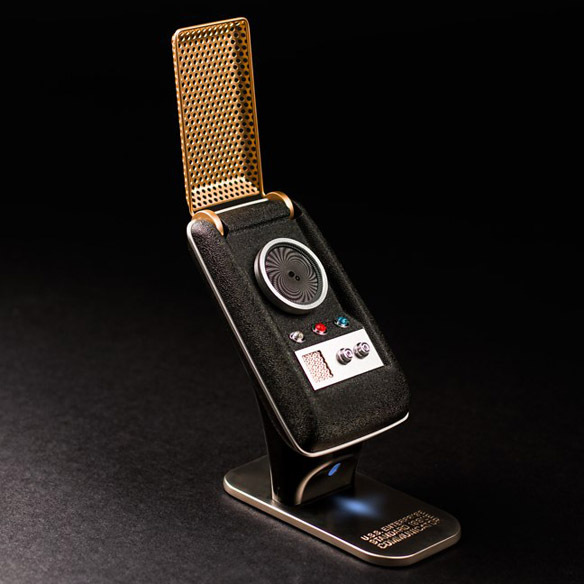 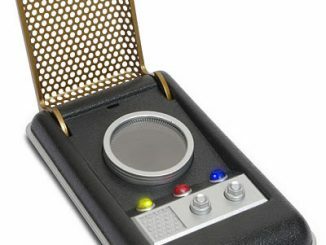 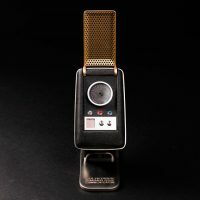 The Star Trek: Original Series Bluetooth Communicator is available for $160.69 at Firebox.com.